Contrary to what some may think, the Conservative MP for SW Surrey has had to repay more expenses than almost all other MPs in the House of Commons. Sir Thomas Legg’s inquiry excluded matters that the Parliamentary Commissioner for Standards was investigating and the inquiry into Mr Hunt’s expenses was therefore treated separately. Mr Hunt has been required to repay £12,680.25 in total. £9,558 of this was due to the ruling of the Parliamentary Commissioner for standards in respect of my complaint. Only 16 MPs have been required by Sir Thomas Legg to repay more than £12,500. 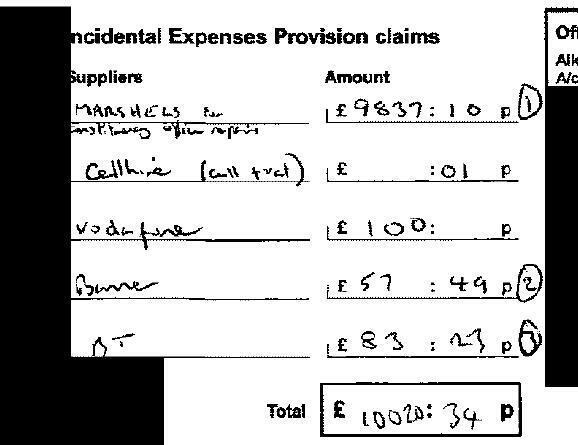 Jeremy Hunt MP had to repay £9,558.50 in expenses because he broke the rules. In addition Mr Hunt had to repay £1,996 for ‘utilities and other items’ wrongly claimed for, £466 for Council tax over-claims and £659.75 for double-claiming on a stationery bill. Given that he has one of the highest amounts to pay back and one of the smallest overall amount of claims it would be interesting to see how high up he comes in the league table of the percantage of expenses that are illegal.